Last night, we had our first leadership team meeting for Family Center International, a new church plant we are helping to launch in Panama City. It’s vision: Influencing Lives, Transforming Nations. After a brief study on 2 Corinthians 9, we went over the business plan launch strategy, discussed evangelism goals, and spent time praying for this new infant of a church. A church of INFLUENCE: We believe that God has called us to be salt of the earth and light to the world. We want to be an influence in families, businesses, government, arts, education, and culture. 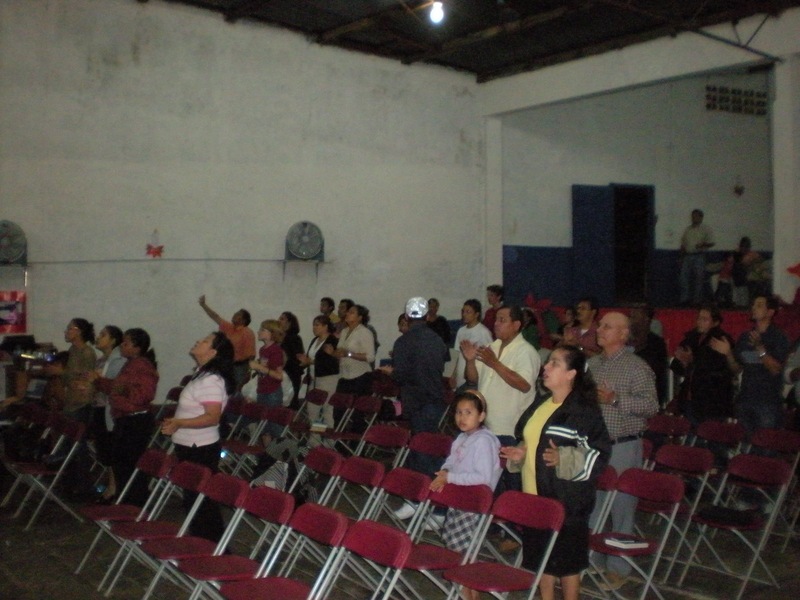 A church of POWER: We believe that God’s power is great and is manifested through those who believe in Him. Our power is not with wisdom or strategies of this world, but is the message of Christ and him crucified. We will work in the wisdom of the Father, the work of Christ on the Cross, and in the power of the Holy Spirit. A church of RELATIONSHIPS: We believe that Jesus came to restore our relationship with the Father and has given us the ministry of reconciliation. We seek to bring people into a relationship with God first and then in right relationship with themselves and with their neighbor. 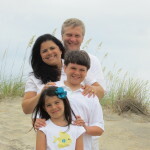 Though we had originally planned not to plant a church here, it appears that part of God’s plan for us is to come along side the lead pastor and his family and help this church get started. We found ourselves listening to the plan, setting dates for fasting and intercession, growth targets and discussing evangelism strategy. We both found an awakening in our hearts about serving here. 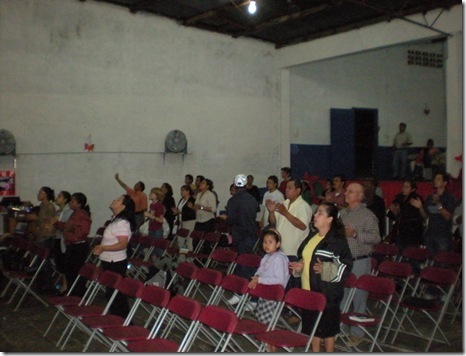 Join us in prayer for this little infant church . . . 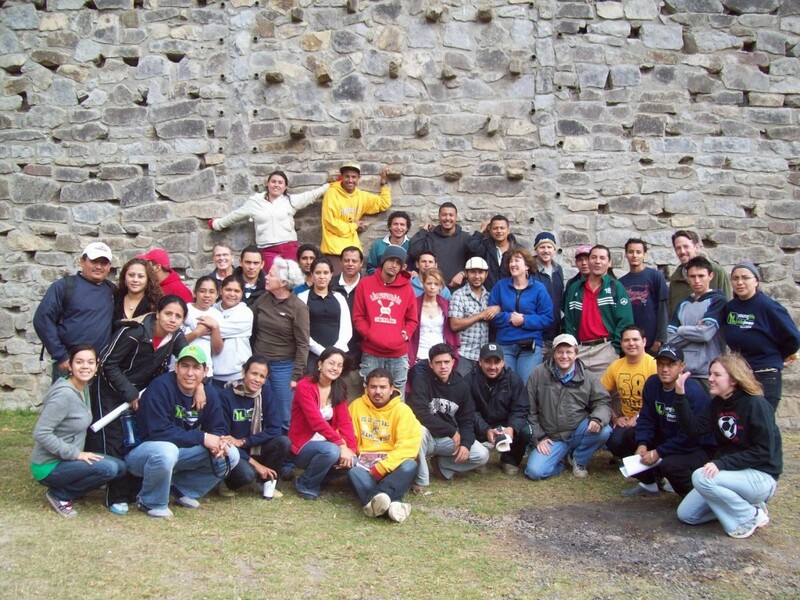 There is the story Alma told about how our teaching at the Nehemiah Center had an impact on the past year. 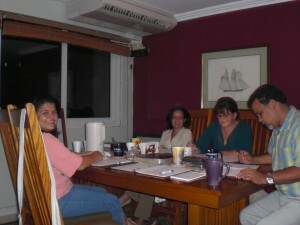 After we left in December 2007 the group felt led to start a prayer group which has met faithfully every week. They have prayed for everything from acquiring land and building new facilities to healing broken relationships. Alma said prayers have been answered and she has seen God work in a tangible way. She came to participate in the teaching at La Fuente to tell us this, to thank us, and to bring her sister Vida to help pray others would receive blessings from the teaching. Her prayer and hope which reflected ours as well was that this Dunamis teaching on healing would be instrumental in the lives of those who came to participate. After the Ignite conference in Matagalpa, 2 more team members joined us at the Young Life Camp in the mountains between Matagalpa and Jinotega, for the annual leadership camp for workers. Approximately 200 area directors, club leaders, and organizers gathered for an intense week of training — 4 classes a day, 5 straight days — on subjects in areas of evangelism, Bible, psychology, leadership, prayer, worship, and administration of a club. Our team had responsibility for about 60 leaders (pictured) who have had 6+ years of leadership with Young Life. Most were area directors and club leaders. “We left a different camp,” said David Cathcart, team member from Sylva NC. Young Life Nicaragua is in the midst of a leadership transition that affects a multitude of people, their jobs, and their economic support. The unknowns of the future and the changes coming provided an anxious back story to our teaching time. Our team found ourselves listening and praying with and for Young Life leaders, and their national leadership transition team. Nearly every day during our team meetings and our quiet 1-1 conversations with them. On Wednesday, we simply set aside a teaching period for worship and intercession for the work of Young Life. That seemed to create a breakthrough that lingered the rest of the week and opened the door for more significant ministry and teaching. Our group prayer times, lab times, and large group ministry times were run 100% by our class members. During such ministry times, our team served as the coach — coming along side the class members and helping them lead into ministry. 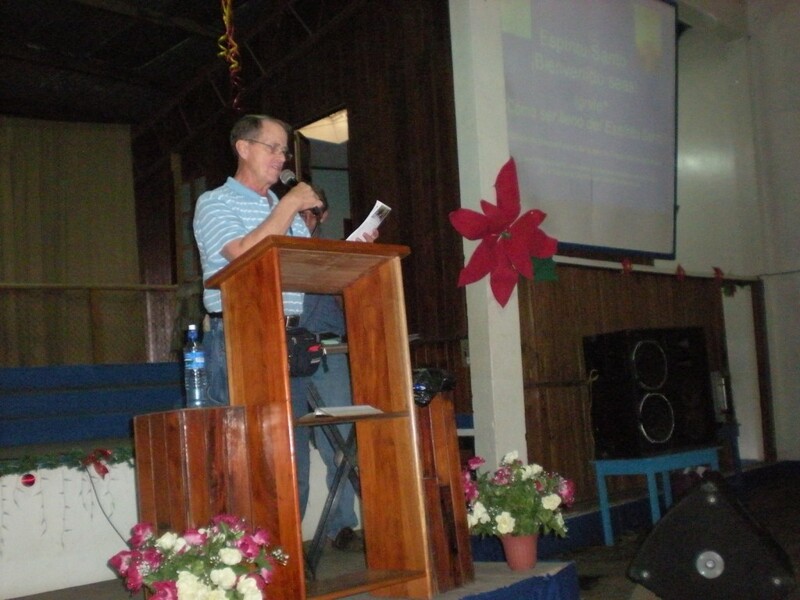 We were not the ministry stars but rather coaches who empowered local leaders to do the ministry themselves. For example, during Thursday night’s large group on reconciliation, team member Chris Walker preached a message on relational healing and that moved into a time of personal prayer to forgive people and to seek forgiveness. Our class served as prayer teams and with a little coaching from us when needed, the ministry went on for about 90 minutes or so. Testimonies from that night talked about how powerful it was for them to experience the presence of the Holy Spirit. Some small and quiet deliverances were reported. Debriefing the next morning revealed major growth in applicable knowledge in our class — learn and do. Friday night, team member Susan Lockhart preached on a ministry in transition, founded by Jesus and turned over to 12 local men. Acts 1.8 served as a preaching verse that pointed out that the ability to change the world is not your own strength, but to go forward in the empowerment of the Holy Spirit. That led into our class praying for their Vida Joven clubs and areas. Leaders organized the 200 or so members of the large group into clubs and cities and the leaders from our class prayed for the infilling of the Spirit for their leaders. This was their ministry! Empowered Leaders. The Lord led us beautifully as our team took on different roles at different times, and as we worked together with our class of leaders to empower them to pray for their people. I think a real hallmark of PRMI’s ministry — the team concept that focuses on listening to the Spirit, was a true blessing for them, and provided a great model for them as they have a leadership team in place for each Vida Joven club. When Susan first introduced “lab time” in our class, she asked what do you do during lab time in school? The quick answer: dissect a frog! Lab time is where the class breaks into small groups for prayer ministry to try “the stuff.” For example, after the segment on physical healing, volunteers who had physical pain agreed to be prayed for and other members prayed for them. Some people with aches and pains reported signs of instant healing, and some healings will need medical verification. After a few “lab time” events, this drawing appeared. One image that stays with me is the last night, after I had preached, I was up on the stage watching the room when my eyes fell upon a young man who was resting in the Spirit on the floor in front of me. His shirt had risen up in back to reveal a several-inches-long huge scar. The peace and joy on his face were such a contrast. Who had inflicted that scar? A parent? A combatant in the civil war waged in his homeland when he was a child? As the team leader, it was a privilege to be part of this team. 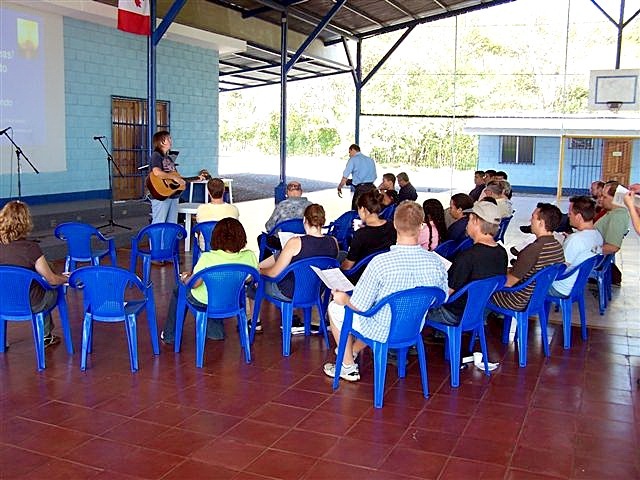 Our family’s ministry of evangelism training in the Americas partners so well with PRMI’s calling to teach globally on the person and work of the Holy Spirit that this trip is one of the highlights of a early 2009. During our worship time on Wednesday, the Lord gave me a word to share with our class. The Lord also took the rest of our team into a deep intercession during the worship time that stretched even our intercessors. We felt that our work impacted the future of Vida Joven. These are men and women that are rebuilding a society torn by civil war and even class warfare. They are learning about marriage, forgiving others, and growing into God’s dream. They are shaping the generation that will change the country. We know that communities will be changed. They grew up in a generation abused, abandoned, and wounded by war. They grew up in areas of high crime, drug related gang warfare, and broken families. However, they know that Jesus calls them to a greater work: advancing the Kingdom of God and that they are called to invite people to start following Jesus. What excited us most is that we know that these leaders “Get it.” They will take this teaching, and apply it in their Vida Joven clubs with great enthusiasm. The healing work will continue and should we be invited again for the 2010 camp, I’m sure the training will continue with a year’s work of practice and experience to debrief. 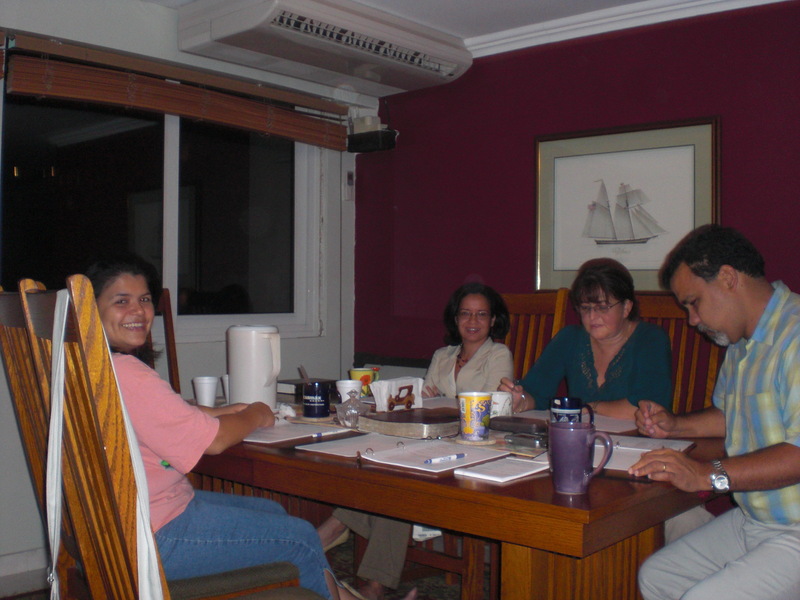 A team of 4 from PRMI met up in Matagalpa Nicaragua to work with La Fuente church over the first weekend in January 2009. 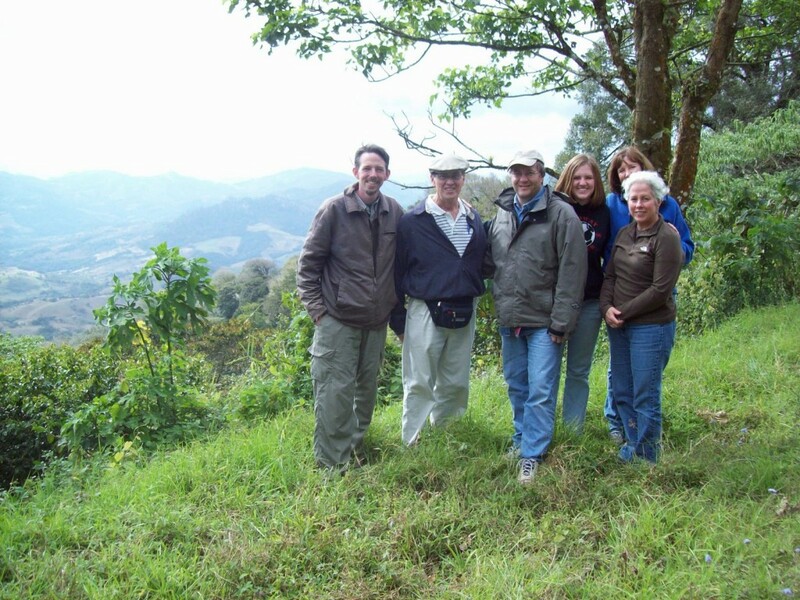 Matagalpa is a city about 2 hours to the interior of the country from Managua, the capital, and is tucked in a mountainous valley in central Nicaragua. 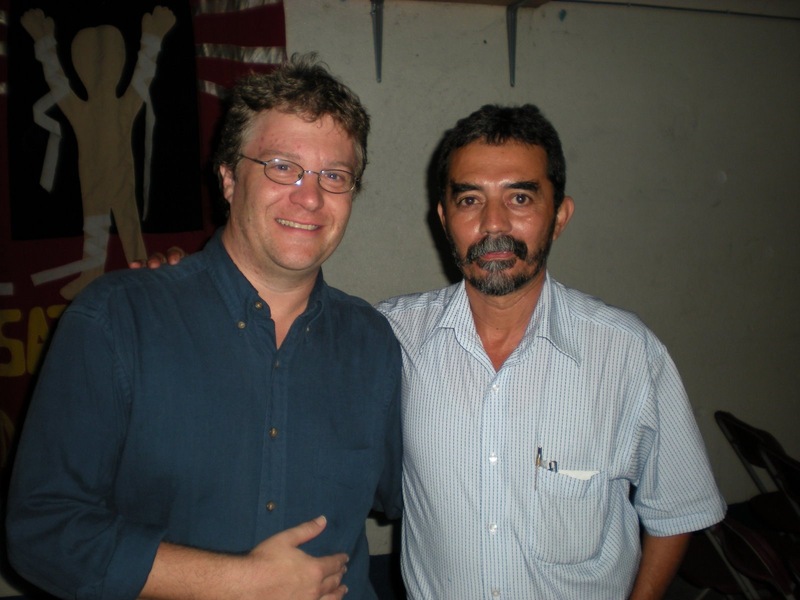 Pastor Raul of La Fuente (pictured with me) was our host, and founding Pastor Orlando Rutledge served as our translator during the entire event. Since we were in town for an event with Vida Joven, we were invited to have an additional conference in the city with La Fuente church. A big thanks to Pastor Orlando for arranging this. Forty to sixty people met with us at La Fuente, which meets in a former warehouse that stored and distributed farm fertilizer: Concrete floors, terraced concrete slabs and a slight slope to lower a slab to a level appropriate for a truck loading dock. The steel plated entrance door is right at the street and slides to the left to allow cargo trucks to back in and be enclosed. Sounds echoed off the concrete wall, and wall mounted fans keep the place relatively cool even in the hot Managua sun. This conference was the first of its kind for La Fuente, so attendance results were a surprise: More people than expected. While the charismatic leaning congregation is familiar with experiencing the person and work of the Holy Spirit, the Ignite conference from PRMI was the first systematic teaching they have received in a while and many folks found it personally refreshing. For many, the theology sections on world view and the review on the Holy Spirit as the 3rd person of the Trinity were most helpful. 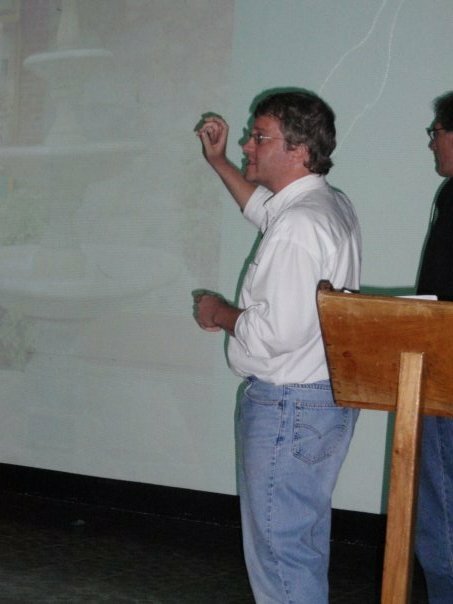 I taught on issues about worldview and the person of the Holy Spirit, and other team members taught on the 4 works of the Holy Spirit, the gifts of the Holy Spirit, and receiving the fullness or baptism of the Holy Spirit (Sam Hale pictured above). Saturday night, during the worship service, we had lab time and prayer time for the infilling of the Holy Spirit. Sunday, I preached through Matthew 9 about getting the Father’s heart for the harvest field. We had lab time and prayer time for the infilling of the Holy Spirit. After lunch on Sunday, we visited with Raul and Pastor Orlando to discuss the event, hear testimony from them, and to discuss future plans. During the event, a woman who heard us during our 2007 trip drove up from Managua and shared some updates from our ministry visit there.